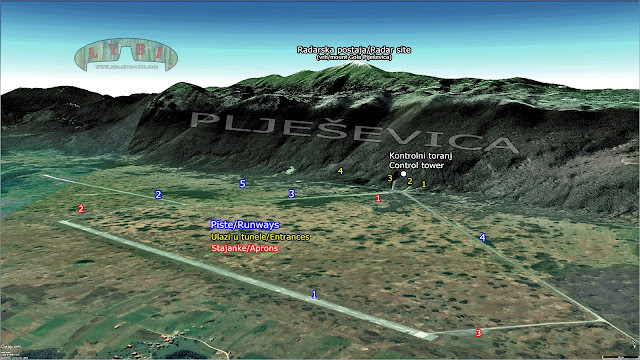 The main advantage of the airbase was its strategic location; it was located deep in the territory of Yugoslavia and equidistant from the most important targets and facilities. 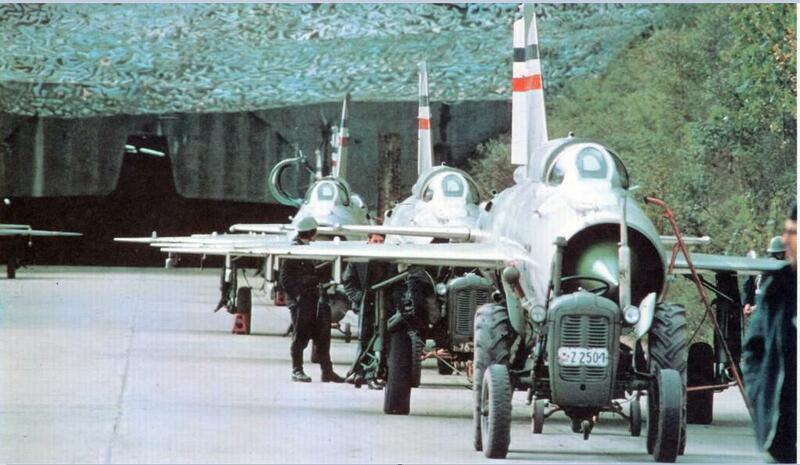 The main purpose of the airbase was defense and distraction of potential aggressors on the former Republic. Consequently, it has always been in the interest of foreign secret agencies. That was proven nowadays by declassifying the records of the CIA spy satellites, which have been monitoring the construction of this object from the orbit for years. 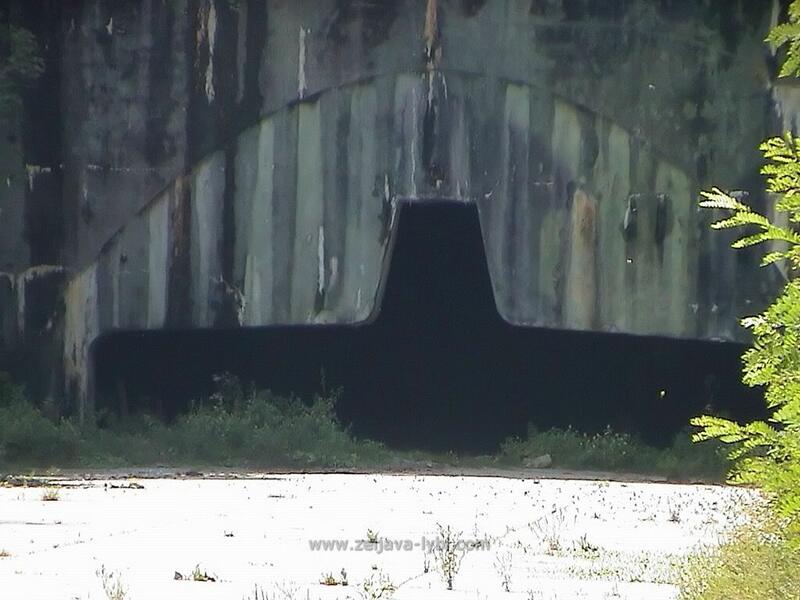 The airbase was built in the period from 1954 - 1968. 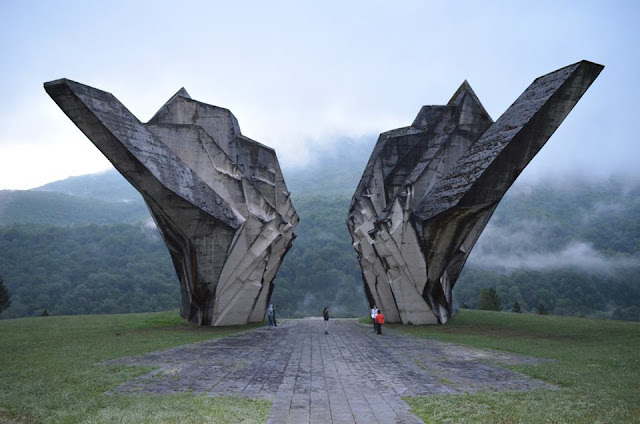 It was built under a veil of secrecy, as well as all former Yugoslavia's cold war facilities of special purpose. 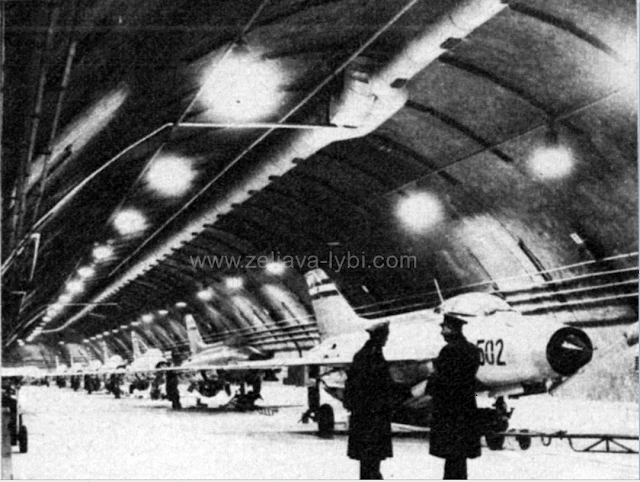 The Klek underground facility has three galleries interconnected with tunnels shaped in the form of the letter M. Three aircraft squadrons (60 aircrafts of type MiG 21) were located in these galleries. 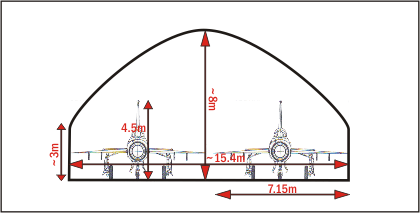 The Profile Gallery was in the form of the MiG 21 plane. They were 15 to 16 meters wide and 8 to 12 meters high. 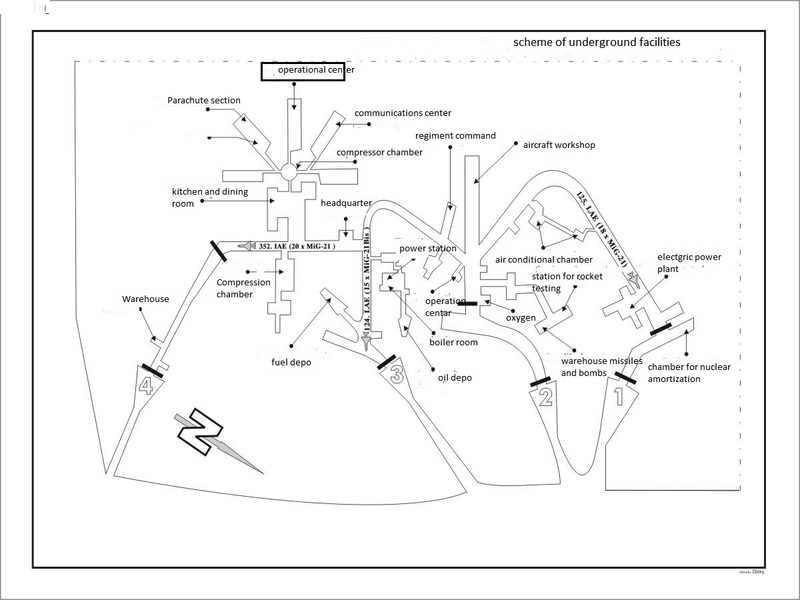 The total length of the underground tunnels (galleries and utility rooms) amounts to about 3.500 meters. 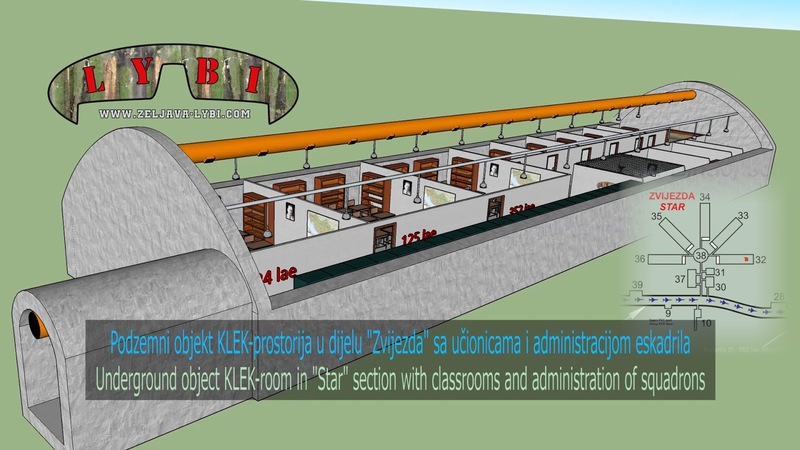 Besides the gallery, Klek facility contained: communications center, operational center, control tower, missiles and bombs storage, fuel tanks, power facilities, air conditioning, classrooms, etc. It also haused a mass hall that could feed up to 1000 people simultaneously, along with food, fuel and arms to last for 30 days without resupply. The fuel supply was carried out through an underground pipe network that started from the military warehouse on the Pokoj hill near Bihac and had the total length of 20 kilometers. The complex of underground tunnels and galleries was divided by 56 armored doors, and it had 4 entrances. The dimensions and the weight of the doors were truly impressive; three doors were 60 cm thick with a width of 20 m and height of 4 m, weighing 100 tons and running on electricity, while the fourth door worked on hydraulic principle, with a thickness of 80 cm, width of 20 m and height of 9 m. Available data suggest that the Klek facility could withstand an impact of max strength of 20 kilotons. Three units were based there: 124.LAE (Fighter Aviation Squadron), 125.LAE and 352.IAE (Reconnaissance Aviation Squadron). The first two were equipped with MiG-21bis fighter aircraft and the third one was equipped with MiG-21-R reconnaissance-fighter aircraft. The Airbase Zeljava included several external facilities. Among them were five runways, barracks situated 3 km away from the base, garages, workshops, and other buildings. Radar station and communications center were located at the top of the Pljesevica Mountain. 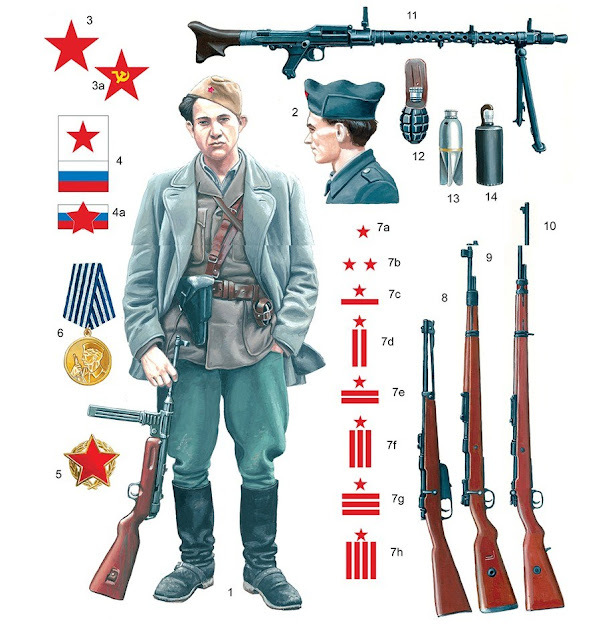 The warehouse containing rockets and bombs was located in Vedro polje. 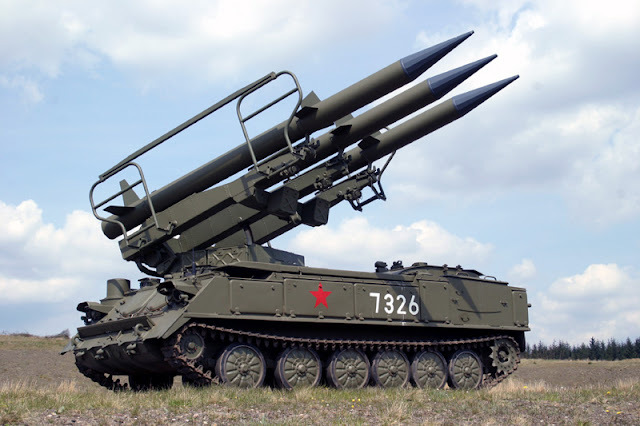 Air defense consisted of three squadrons of aircrafts, numerous short-range mobile tracking and targeting radars, missile-equipped sites, 2K12 „kub“ (NATO; SA-6) mobile surface-to-air missile interceptor system, motorized infantry bases, military police station, etc. The Airbase Zeljava was in a difficult situation at the beginning of the outbreak of war in Bosnia and Herzegovina. 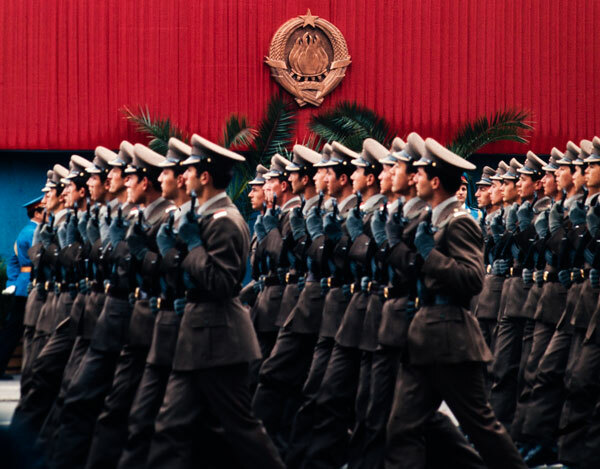 The top army leader of Yugoslav People's Army made a decision on dislocation of aircrafts, equipment, units, and civilians affected by war threats to a location in Serbia. All that was left in the base should have been mined and permanently disabled. The whole complex was mined and extremely damaged with more than 50 tons of explosives on May 16th 1992. A facility for asylum seekers was scheduled to open in 2004 or 2005, but the idea was abandoned. Nowadays, in the post-war period, this location known as „holes“ among the former and current residents of this region gradually reveals its secrets to the curious researchers of artificial underground areas. Thanks Edin .... Keep up the great stories from this brave and ravaged territory...!